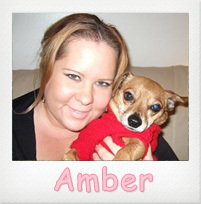 Amber grew up in Tarzana, where she was the neighborhood animal “go-to-girl”. She earned extra money doing her favorite thing; caring for animals. You could always find her walking, grooming, and even poop scooping whether it was for her neighbor’s dogs or her own. At her own home she had a lab named Willlie, a shitu named Sassy, and a St Bernard named Bourbon. After high school and for the next ten years she followed her other passion caring for children. As a nanny Amber again found herself tending to others people pets, giving pet advice, and pet sitting. While walking a family’s dog she realized this is what she loved to do and decided to return to her first passion caring for dogs full time. 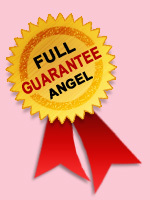 Since this epiphany Amber has spent the last year getting certified in Dog training, Pet first aid, and puppy care.